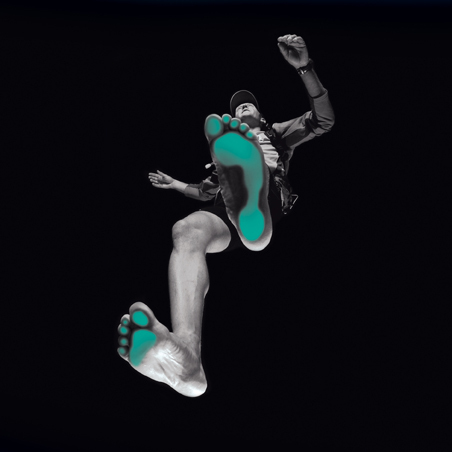 Plantar fasciitis is a common, painful foot condition. Plantar fasciitis refers to the syndrome of inflammation of the soft tissue that runs from the heel along the arch of the foot. Plantar fasciitis is most often seen in middle-aged men and women, but can be found in all age groups. Plantar fasciitis is diagnosed with the classic symptoms of pain well localised, at the front part of the heel and on its medial side. Its positioning is very specific. Often the pain from plantar fasciitis is most severe when you first stand on your feet in the morning. Why did I get plantar fasciitis? Plantar fasciitis occurs because of irritation to the thick ligamentous connective tissue that runs from the heel bone to the ball of the foot. This strong and tight tissue contributes to maintaining the arch of the foot. It is also one of the major transmitters of weight across the foot as you walk or run. Therefore, the stress placed on this tissue is tremendous. When a patient has plantar fasciitis, the connective tissue that forms the arch of the foot becomes inflamed (tendonitis) – these abnormalities cause plantar fasciitis and can make normal activities quite painful. Symptoms of plantar fasciitis are typically worsened early in the morning after sleep. Why? Over night without a regular stress the soft tissues have tighten. When you first put your foot down. You are stretching this contracted tissues. As you begin to loosen the foot, the pain usually subsides, but often returns with prolonged standing or walking.